Labeling someone as prodigious often leads to disappointment. Whether in music, sports, or acting, it burdens the person with lofty expectations that they could fail to reach for any number of reasons, ranging from something as serious as injury to benign as a loss of interest. Often times, the thing keeping them from greatness is something that the person has no direct control over. Even if the person maximizes his or her potential, it’s often not to the extent those burdening them with the expectations believe they should reach — there’s always something to be desired. 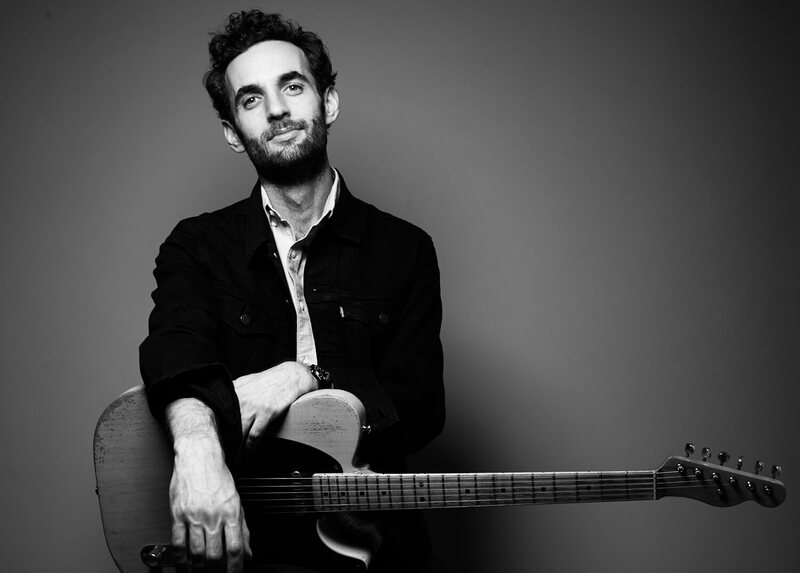 Julian Lage has carried the baggage that comes with being labeled a prodigy for the majority of his life. At eight, he was already an accomplished blues guitarist — there’s even a documentary titled Jules at Eight that shows just how skillful of a musician he was. Over the next eight years, Lage did everything from record jazz vibraphonist Gary Burton to perform at the Grammy’s to shred alongside Santana. He went on to study at a number of the top music schools across the country before graduating from the Berklee College of Music in 2008. He then went on to release his debut studio album, Sounding Point, the next year. Lage hasn’t slowed down in recent years either. The now 30-year-old guitarist is as busy as ever; writing, recording, and performing across the country. It does beg the question, how does he maintain such as rigorous schedule and never grow tired, not get burned out? Well, as it turns out, he does. In fact, he embraces it. “I think being burned out is a good thing,” he says to me over the phone. “It’s a way to prevent doing more damage.” It speaks volumes about Lage’s unfailingly positive demeanor that even being burned out can be looked at as a welcome experience. “I’ll be working on a few projects but maybe I haven’t written a song for my own band in months — the burnout might indicate that I should be working on that.” Burnout is more of a cure than a symptom for Lage, it helps him to zero in on the projects that are most important to him. Most of his focus in the past year and a half has gone towards recording and touring behind Modern Lore, his fifth studio album and his second working alongside bassist Scott Colley and drummer Kenny Wollesen. “Maybe I want to investigate the sound of a Telecaster on one record, or I want to just do solo acoustic guitar, or maybe just a record with no overdubs,” he continues, explaining how he picks the direction that he wants to take a record. “The machine is kind of part of the parameters,” he says, going on to note how the instruments and recording equipment used can be as much a part of album’s sound as much as the notes being played. At this point, he’s even starting to progress past the cookie-cutter instruments you might find at your local music shop. Last year, Lage introduced his own signature guitar with Collings, an Austin, Texas-based company known for creating some of the best modern acoustic instruments, and he says that he couldn’t be more pleased with the results. “It evolves, and it’s done so so very organically,” he giddily explains. “It’s not dissimilar from how an old wooden railing or staircase can be hundreds of years old and still feels very smooth and very perfect.” That rich patina that the guitar has developed adds a unique quality to the instrument that Lage is always excited to hear whether he’s playing the instrument on the road or in the studio. Unfortunately, the instrument, as well as Lage’s beautiful acoustic playing, do not make an appearance on Modern Lore, though not for lack of ambition. Lage said that he recorded around 30 songs for the album and then slowly pared it down to the album’s 11 tracks. “That process was about finding songs that had personalities that were complementary to one another,” he says. “You’re trying to create a need for the songs you have.” The same thing could be said about his live performances. “It’s in flux,” he tells me. Touring behind this record has presented Lage with the opportunity to experiment with his setlist. While Lage says he and his band occasionally throw in older songs, what is most appealing is stringing together the tracks from Modern Lore in an interesting way. “What we’re fascinated by is finding the optimal place where each song will have the most impact,” he says, and according to him, that can vary on a night-to-night basis. No matter what the setlist is, you can expect a great show from Lage, he’s too talented to give anything less.